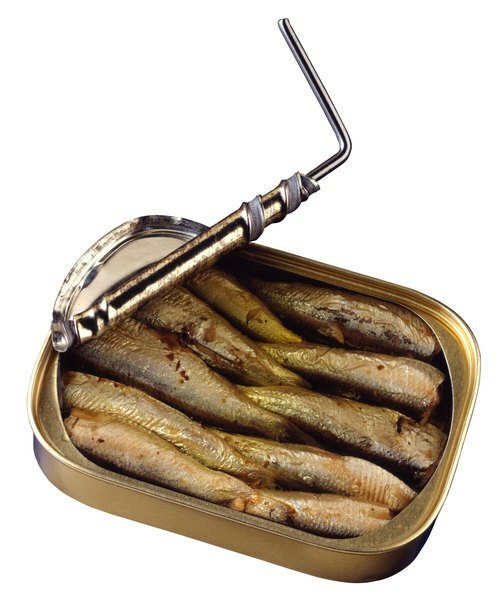 Sardines add lots of B-12 to your diet. 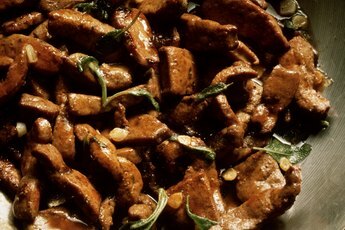 You need B-12 for normal blood and neurological functions. Adding canned fish to your meals is an easy way to boost your B-12 intake. Canned fish is convenient and doesn't expire. Whether you enjoy sardines, canned salmon or another type of canned fish, stock it in your pantry so you always have it available. As an adult of either gender over the age of 14, you need 2.4 micrograms of vitamin B-12. Your recommendation doesn't go up unless you are pregnant or breastfeeding. In these cases, you need 2.6 micrograms and 2.8 micrograms, respectively, explains the Office of Dietary Supplements. Vitamin B-12 is not toxic in large amounts if you are generally healthy, so you don't have to worry about getting too much. 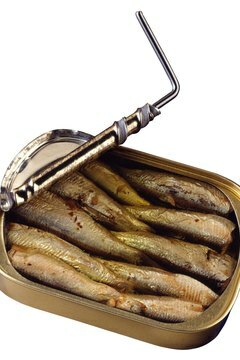 Sardines pack lots of B-12 into your diet, offering about 7.6 micrograms per 3-ounce serving. Canned pink salmon provides approximately 1.2 micrograms of vitamin B-12 per ounce, so if you have a 4-ounce serving, you'll get nearly 5 micrograms of B-12. 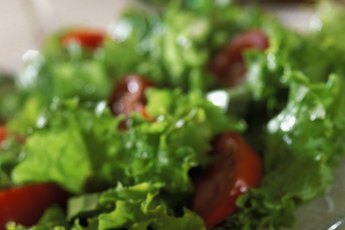 If you love tuna fish sandwiches or add canned tuna to your tossed salad, you'll further boost your B-12 intake. Water-packed canned tuna offers 2.5 micrograms per 3-ounce portion. The same serving size of Atlantic canned cod provides around .9 micrograms of B-12. 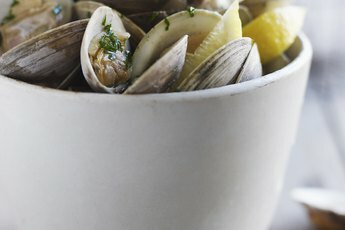 Canned clams are at the top of the list for vitamin B-12-rich foods. In 3 ounces of canned clams, you'll get a whopping 84 micrograms of the vitamin. Six ounces of canned mixed shrimp have almost 2 micrograms of B-12. Blue crab is another type of shellfish high in vitamin B-12. One cup of canned blue crab meat offers .6 micrograms. Some types of canned New England clam chowder provide more than 10 micrograms of B-12 per cup. While fish are lean and healthy additions to your diet, you need to be aware of the mercury content, especially if you are pregnant, breastfeeding or are in your senior years. Too much mercury is toxic in your body, leading to biological and neurological problems. If you are pregnant or nursing, excessive mercury intake may affect the growth and development of your baby. Limit shark, swordfish, king mackerel and tilefish, which are all relatively high in mercury. 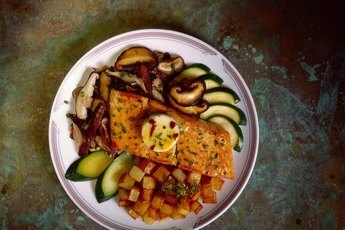 Keep your intake of low-mercury fish, like salmon, tuna and shrimp, to 12 ounces or less per week, suggests the United States Environmental Protection Agency. Canned light tuna has less mercury than albacore white tuna, meaning light tuna might be a better option if you are older, pregnant or nursing.